Greetings, first-time Light Up Lakewood attendee. You’re in for a real treat. Don’t be surprised if your enthusiasm upon reaching Detroit Avenue nears Buddy The Elf levels. 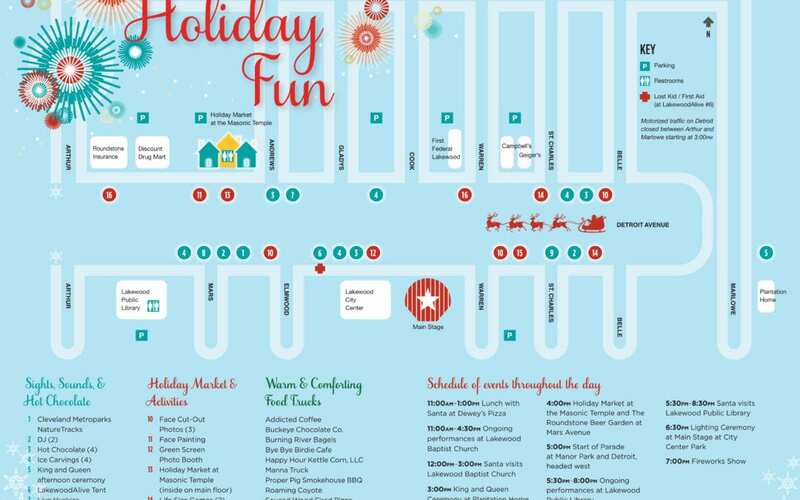 Light Up Lakewood – a fun-filled fixture within Lakewood’s downtown district – represents one of the preeminent holiday events in Northeast Ohio. If it’s not the most wonderful time of the year, it comes awfully close. But before you join 20,000 of your closest friends at LakewoodAlive’s dazzling community festival on December 1, there are some things you should know. Consider this cheat sheet a gift to be unwrapped prior to the first Saturday in December. 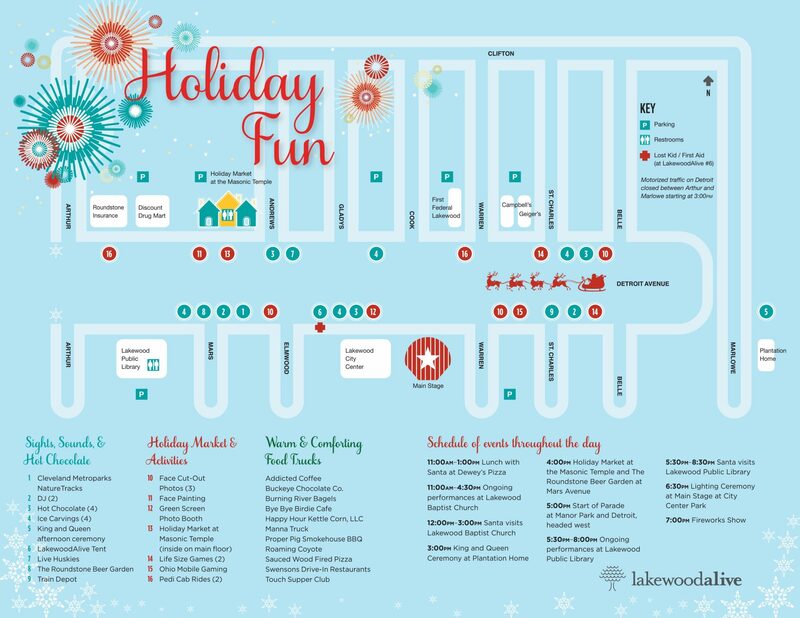 Here’s your beginner’s guide to attending Light Up Lakewood 2018 sponsored by First Federal Lakewood. Light Up Lakewood represents fun for the entire family. 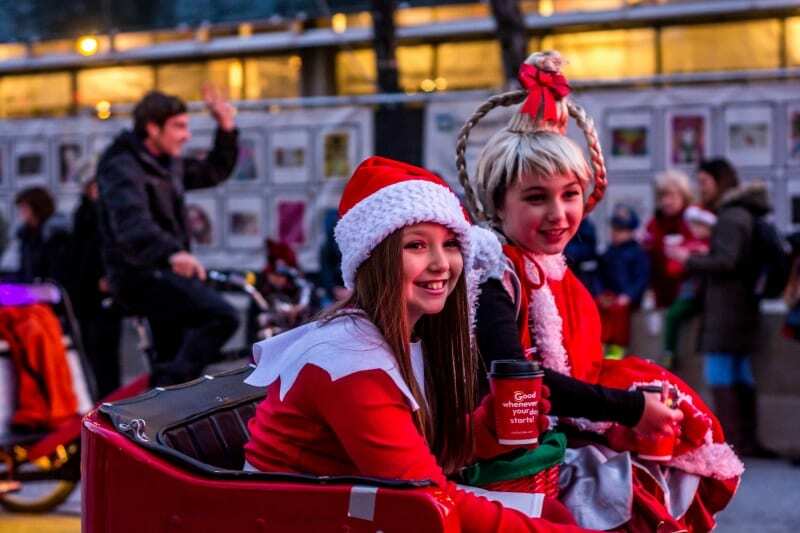 Light Up Lakewood is family-friendly and open to everyone – all kids from 1 to 92 (and older, for that matter). So bring your spouse, grandparent, child, sibling, uncle, friend, insurance agent, mail carrier and cousin twice removed. Since Light Up Lakewood has a large regional draw, it’s worthwhile to invite your out-of-town friends to come experience the City of Lakewood and this festive occasion. So much merriment to spread, so little time. Light Up Lakewood represents a day-long celebration that starts with Lunch with Santa at Dewey’s Pizza at 11 a.m. and doesn’t end until the music stops playing at 8 p.m. Guests are welcome to attend everything or stick with the main festivities taking place between 4 and 8 p.m. Visit LakewoodAlive.org/LightUpLakewood ahead of time to plan which events you wish to attend. The City of Lakewood’s municipal parking lots are free on weekends. With thousands of Light Up Lakewood attendees anticipated, however, parking spots near Downtown Lakewood will be in high-demand. Thankfully, Lakewood has numerous side streets in close proximity offering free, convenient street parking. It’s important to note that motorized traffic on Detroit Avenue between Arthur and Marlowe will be closed on December 1 starting at 3 p.m. Provided the weather cooperates, walking or biking to Light Up Lakewood also represent fine transportation options. If Light Up Lakewood 2018 proves to be wintry, there are various strategies at your disposable for staying warm as you partake in the spirit of the season. Head indoors at the Holiday Market located within the Lakewood Masonic Temple, or take in a performance at Lakewood Baptist Church or Lakewood Public Library. 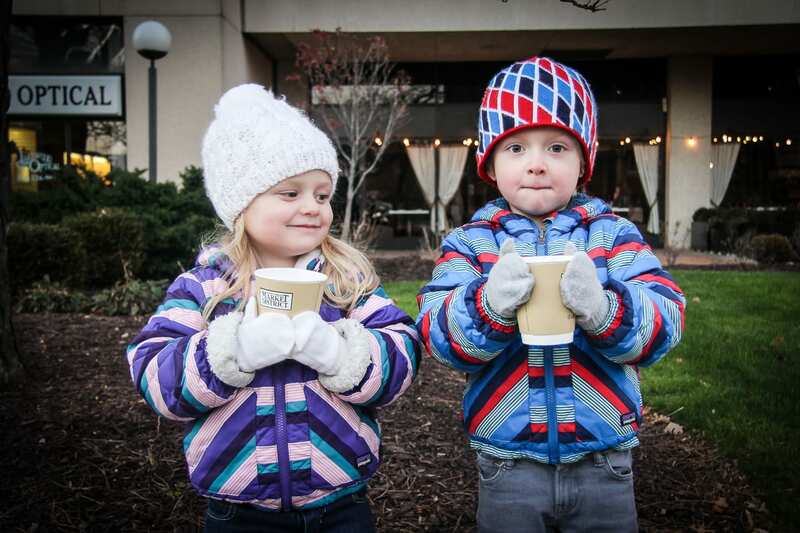 For those who opt to stay outdoors, several free hot chocolate stands will be available. LakewoodAlive will be posting to its Facebook, Twitter and Instagram accounts throughout the duration of Light Up Lakewood. Guests are encouraged to use hashtag #LightUpLakewood for their own social media. Don’t be afraid to go live on Facebook during the Holiday Parade, Lighting Ceremony and Fireworks Show. There will be three festive new features at Light Up Lakewood 2018: 1. The Roundstone Beer Garden, 2. The Holiday Market at the Lakewood Masonic Temple, 3. The Holiday Train sponsored by Laskey Costello, LLC and Paisley Monkey. Click here to learn more. Be sure to bring your appetite with you to Light Up Lakewood. The many terrific restaurants and eateries contained within the event footprint will be open for business throughout the festivities. Additionally, a collection of food trucks will be on-site along Detroit Avenue. 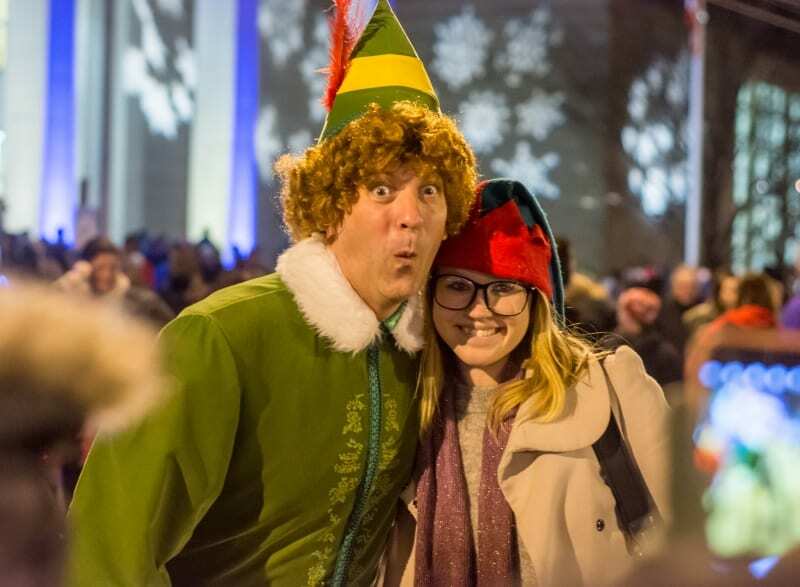 There’s truly something for everyone at Light Up Lakewood 2018. There’s never a shortage of entertainment at Light Up Lakewood. The Holiday Parade will step off from Manor Park at 5 p.m. and proceed west on Detroit Avenue, ending in front of Lakewood Public Library. It’s recommended to find your parade-viewing spot early and to consider bringing a lawn chair if you think you’ll be more comfortable sitting down. Many merchant window fronts on Detroit Avenue also provide prime indoor vantage points. Year in and year out, the Lighting Ceremony represents one of the highlights of Light Up Lakewood. 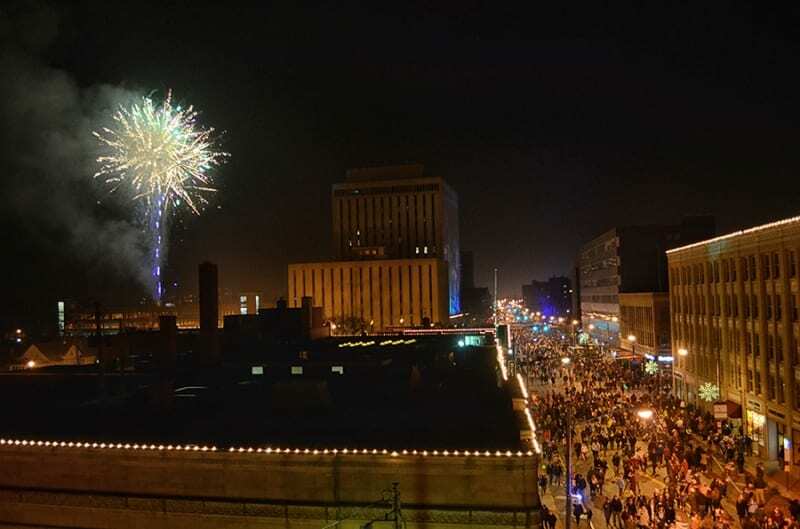 The Main Stage serving as the site of the Lighting Ceremony will be at City Center Park in front of the Marc’s Shopping Plaza near the intersection of Detroit and Cook Avenues. Arrive there early to secure that photo-worthy view. The fireworks will be set off from behind Lakewood Center North (the same as in past years). Following the end of the Lighting Ceremony, there will be a short break to allow attendees time to find their perfect vantage point for enjoying the fireworks. Recommended viewing spots include: 1. From the south side of Detroit Avenue in the areas west of Rozi’s Wine House or 2. From the City’s municipal parking lots located behind Geiger’s/Melt Bar & Grilled, behind Deagan’s/First Federal Lakewood and behind Rozi’s Wine House. For more information regarding Light Up Lakewood 2018, please visit LakewoodAlive.org/LightUpLakewood.